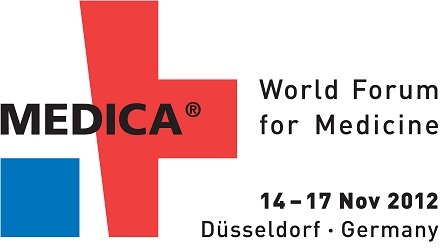 Aerotel Medical Systems will showcase innovative personal telemedicine solutions at Medica 2012, which opens today in Dusseldorf, Germany. At the world’s largest medical trade fair, Aerotel will present its highly successful HeartView, a personal hand-held 12-lead ECG monitor with Bluetooth connectivity. The easy-to-operate personal ECG device puts patients in control and provides physicians with a clear, comprehensive ECG recording. All of the company's innovative products will be presented by Aerotel in Hall 9, Stand C01. Aerotel will also use the four-day event to demonstrate its GeoSkeeper personal wireless GPS location and tracking device. GeoSkeeper offers a new level of safety beyond existing PERS (Personal Emergency Response System) and traditional social alarm systems. In addition, Aerotel will present its Mobile-CliniQ, a mobile phone application that enables remote monitoring of various health parameters, such as electrocardiogram (ECG), blood pressure, blood glucose level, weight, etc. “Medica 2012 will provide Aerotel with an excellent opportunity to present our cutting edge, personal remote monitoring devices to the professional global health care community,” said David Rubin, Aerotel Medical Systems president and CEO. “Aerotel’s solutions offer various diagnostic, emergency and monitoring service applications leading to critical time savings, enhanced level of emergency treatment and higher recovery rates from critical situations,” he added.